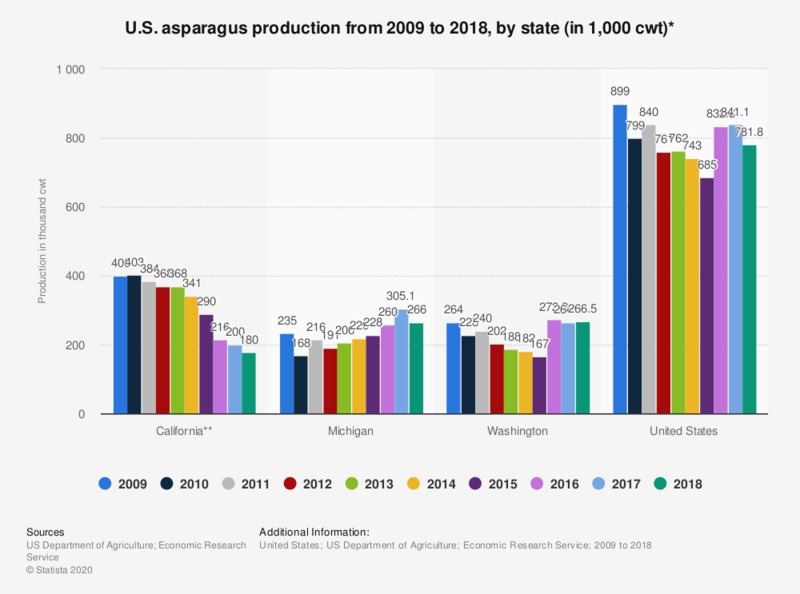 This statistic shows the production of asparagus from 2009 to 2018 in the U.S. states and also provides a national total. In 2018, 180 thousand cwt of asparagus were produced for fresh market and processing in California. * Asparagus for fresh market and processing. 2012 figures are preliminary. ** Includes a small amount of processing asparagus. cwt = centum weight is defined as 100 lb, which is equal to 45.36 kg.